Description: Shell width greater than height. Sculptured with primary and secondary spiral ribs; primaries smooth, two on spire whorls, three on body whorl; 1-5 secondaries between each primary. Area above upper primary rib flat or concave, sometimes axially ribbed. Rest of whorl rounded, angulate at primary ribs. Whole surface covered with microscopic, dense oblique axial lamellae. Base sculptured similarly to spire whorls. 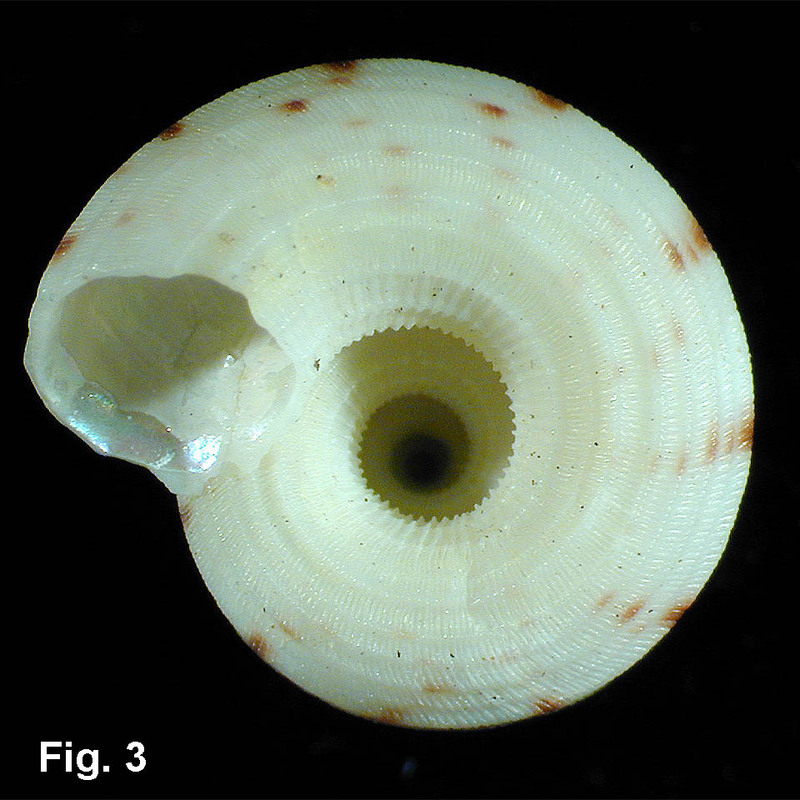 Umbilicus widely open, extending to apex; axial lamellae prominent within. Aperture circular; outer lip smooth within. 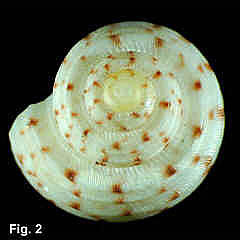 Colour white with intense pink spots on primary ribs; base, umbilicus and aperture white; upper half of body whorl pink. Interior nacreous. Size: Up to 6 mm high, 8 mm wide. Distribution: Endemic to Australia; Moreton Bay, Qld, to Cape Everard, Vic. Habitat: Subtidal, to 150 m. Moderately common in appropriate habitat; mainly known from beach shells. Comparison: Distinguished from other species of Minolia and Spectamen by the axial lamellae and distinctive colouration. 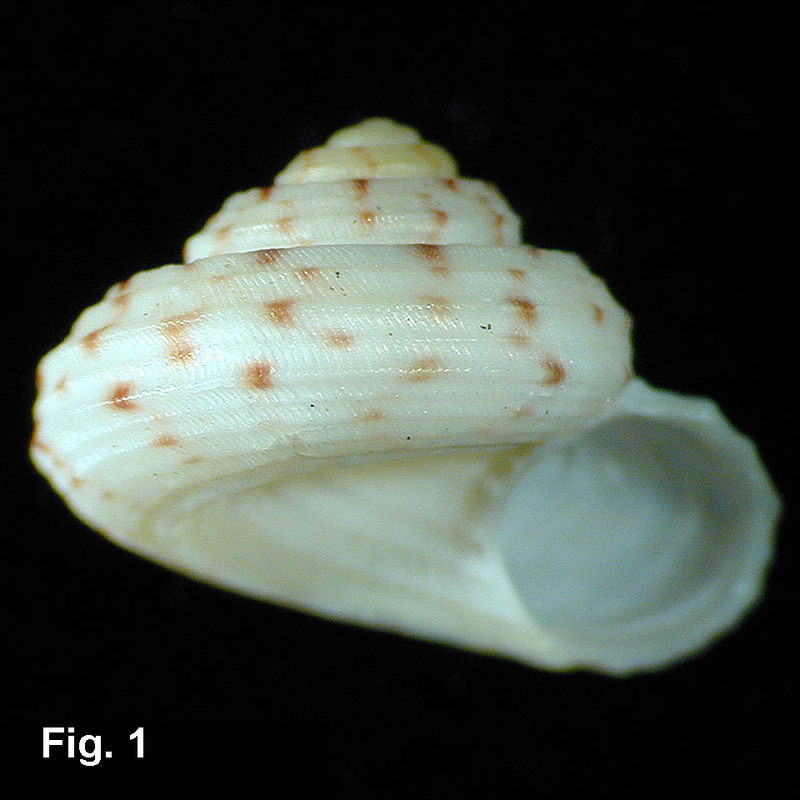 Remarks: A form with five primary ribs on the penultimate whorl, instead of the typical two, has been described as Minolia pulcherrima emendata (Iredale, 1924).